Someone very dear to me has been reminding me that nature’s got its ways, and that we, humans better listen. 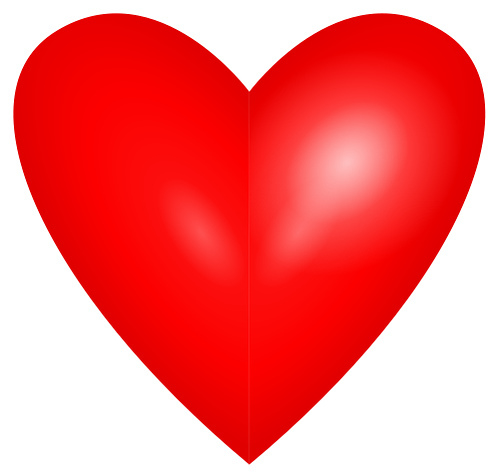 Someone very dear to me is suffering from a weakened heart, as a result of too much exercise and not enough food. She was in the hospital two weeks ago, and got out, barely out of the danger zone. Forgot the doctors’ orders, and started walking, and biking all over town, like before. A visit to the doctor yesterday brought some sobering news. My loved one’s heart is showing signs of weakening again, and a second hospitalization is on the horizon. That, she does not want. The memory of her first stay in the hospital, and how horrendous that felt, is still very fresh. Finally, she is hearing what her heart has been trying to tell her, and she is taking steps to heal. It’s taken that much for her behavior to change. My point is we can only ignore nature’s callings for so long. Our planet is heating up, sending us distress signals all over the place. Many of us are listening, but not really. It is business as usual. Driving, flying, whenever we feel like it. Firing up new coal plants to power our consumption habits. Building new and bigger homes. Drilling for more oil. Eating daily Happy Meals. Like my loved one, we need an experience akin to her first hospital stay. Something extremely unpleasant, that makes clear, the connection between our old behavior and the inevitability of personal disaster if we do not change. Of course, this begs the question of, can anything be done to change such a course of events? Can humans be reasoned into a wiser course of action, sooner, and without having to pay the unnecessary costs of their foolishness? Psychology teaches us that the first step is to become conscious of our thoughts and our actions. There needs to be a public discourse around the personal dimension of climate denial. I have spent many posts in this blog, exploring that aspect, using myself as subject for such self-exploration. That is just a start. Other psychologists, journalists, bloggers, meditators, need to jump in and expose further, the various mental blocks of the climate denying mind. How Much Do You Bother? If you do bother, you will set an example for other people. If enough other people bother, each one influencing yet another in a chain reaction of behavioral change, markets for all manner of green products and alternative technologies will prosper and expand. (Just look at the market for hybrid cars.) Consciousness will be raised, perhaps even changed: new moral imperatives and new taboos might take root in the culture. Driving an S.U.V. or eating a 24-ounce steak or illuminating your McMansion like an airport runway at night might come to be regarded as outrages to human conscience. Not having things might become cooler than having them. And those who did change the way they live would acquire the moral standing to demand changes in behavior from others – from other people, other corporations, even other countries. All of this could, theoretically, happen. What I’m describing (imagining would probably be more accurate) is a process of viral social change, and change of this kind, which is nonlinear, is never something anyone can plan or predict or count on. Who knows, maybe the virus will reach all the way to Chongqing and infect my Chinese evil twin. Or not. Maybe going green will prove a passing fad and will lose steam after a few years, just as it did in the 1980s, when Ronald Reagan took down Jimmy Carter’s solar panels from the roof of the White House. Now, I need to be honest with myself, and all of you, and face up to all the reasons why I have not made more changes yet in my still very carbon polluting lifestyle. The impatience I shared in ‘Lots of Talk About Sustainability, Little Action‘ was as much about my own behavior as about the persistent apathy in my fellow Americans. Sure I have made progress compared with one year ago when I started on this journey. I have cut down my shopping to the bare necessities, mainly food. I am biking, and walking, and taking the train, more and more. I remember to turn off the power strip for my computer most of the times. I am planning my groceries a lot more efficiently. I do laundry only once in a blue moon, and save the dryer only for the small items. etc . . . One could say I am doing better than most. Better than most is still not good enough. I know it. I am still letting my seventeen year old daughter drive her SUV, because ‘if she wants a new car, she’s got to buy her own, and the SUV is the only old car we can spare’. I still have not resigned myself to condemning the pool. We don’t heat it, but the filter goes on year round. I am still quick sometimes to grab the car keys, when ‘I am in a hurry’, or ‘it is too cold out’, or ‘it is getting dark’. You get the picture. The reality still has not completely sunk in. On a scale of 0 to 10, with 0 not bothering at all to 10 being 100% committed, I see myself as a 6. How about you? This is consistent with most of the research we have seen so far. Climate change is perceived as a global issue, to be addressed globally. Until it is made personally relevant and people are given the solutions to address it, it will most likely remain so. experiments in communal warmth and trust. 1) The world’s first global experiment in decentralized cuddling. unless you send them a body-warming hug. Hug in Soho Square, W1 this Valentine’s Day lunchtime at 1.30pm. warmth boost. (Green nibbles like celery or apples may be provided). Such a brilliant, zany idea. I can’t say enough about it. Firms seeking to advertise their green credentials should shun generic images associated with climate change such as polar bears and melting ice floes, according to a major new survey of green advertisements and consumer attitudes. 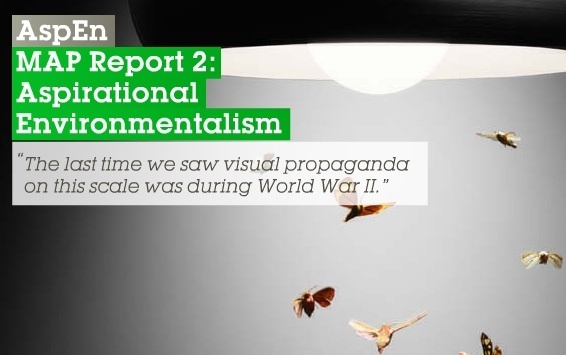 The study from picture agency Getty Images assessed 2,500 advertising campaigns from last year for its annual “What Makes a Picture” (MAP) report and concluded that many of the conventional images used to promote green campaigns were in danger of becoming visual clichés. It also advises advertisers to challenge consumers’ negative attitudes towards the environment head-on, arguing that campaigns should not shy away from addressing issues such as consumer indifference, concerns over greenwashing and resentment about the commercialization of a social cause. a physical reality linked to place, time, and personal experience; make it personal, make it local. Practically, this means giving people solutions to real problems, not trying to force upon them products and messages decided by wannabe green marketers. The ‘Green‘ magic can only go so far.